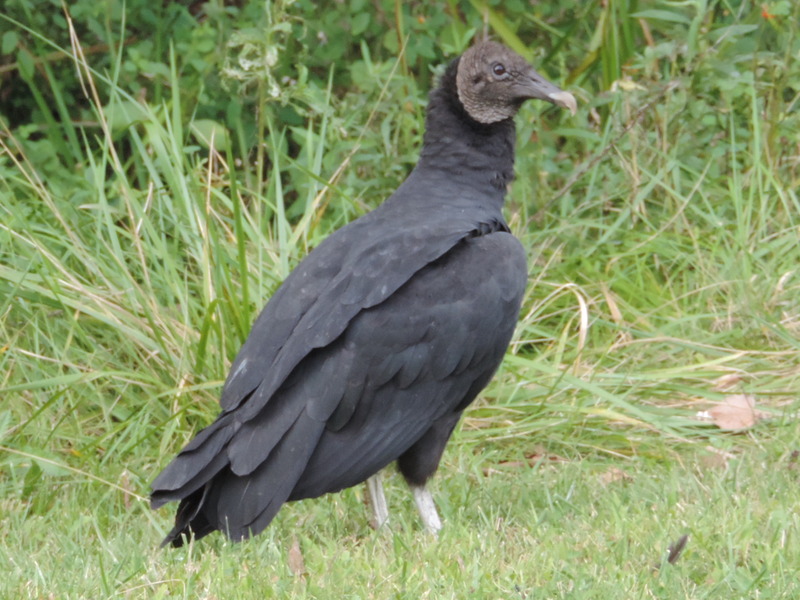 This vulture was seen at Mohican State Park near Loudonville, Ohio on September 8, 2013. It has a dark gray head and a short tail. White wing tips are visible from below when in flight. It was photographed with a Nikon Coolpix P520 camera.